Hi... recently the racenet service have been down for a couple of days... Now it is functioning, but with my account I'm not able to view the online leaugues, in the game (Racenet service not available). In the past this was already happened several times. To fix it, I have to go to the site dirtgame, CANCEL my subscription to the leagues and then re-join the leagues again! 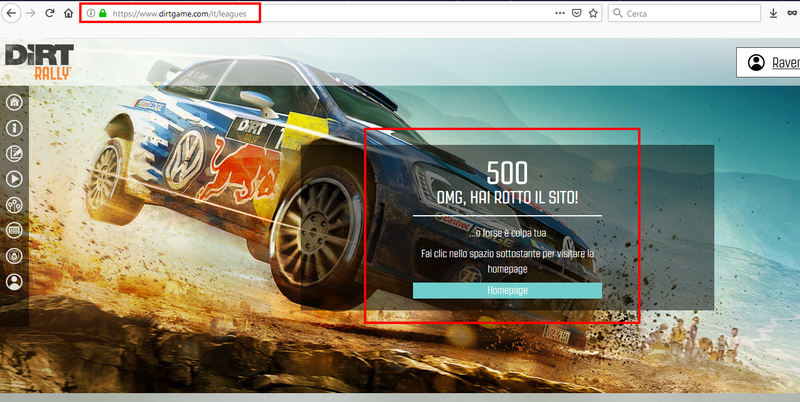 The only problem, this time is that the dirtgame.com site, is NOT functioning anymore on the page of the leagues (see the attecched image)!!! And so I'm completely "stuck"! Please solve the access to the site pages! ps: excuse my baaad english!